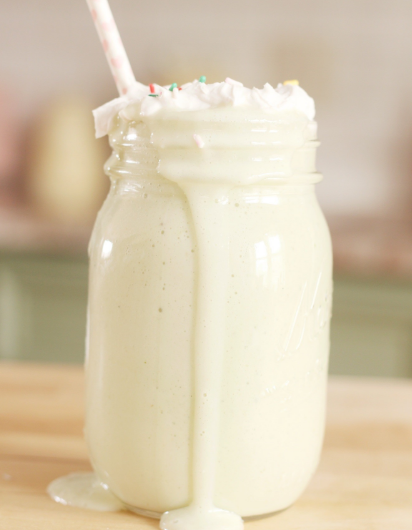 I've been seeing birthday cake protein shakes all over Pinterest and I've been dying to try one! I finally decided to make one but I wanted to make it vegan since many of my viewers are vegan! This was so easy to make, especially the whipped cream! What could be a better reward after working out than a birthday cake shake? REFRIGERATE the coconut milk overnight. This will help the coconut milk and fat to separate. When it is time to open your can of coconut milk the top layer will be solid, this is what we will be using for the whipped cream. You can save the juice for smoothies, we won't be needed any juice for the whipped cream. Beat the coconut fat (solid part) and vanilla until it forms whipped cream. It's that easy!! BLEND all the ingredients together in a smoothie mixer. Pour into your favorite glass! 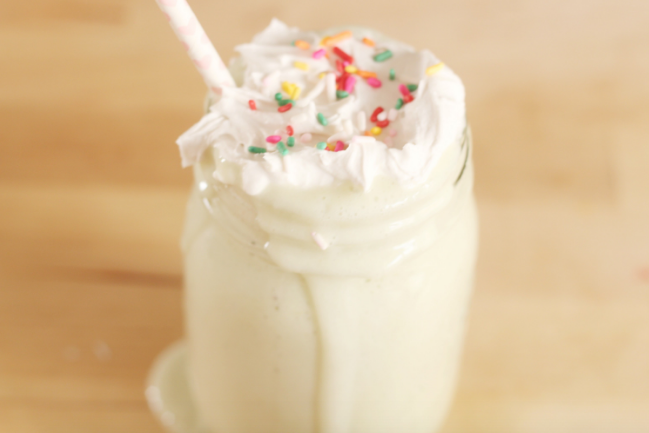 TOP the shake off with the whipped cream, sprinkles and a straw!